The Mercedes-AMG GT Roadster is a high-performance sports car that proves it’s not just about looking good, but instead delivering an all-round impressive vehicle performance. Experience your surroundings in the open top design, making everyday feel like a weekend away. Combined with the powerful V8 engine that accelerates from 0 to 62 mph in 4.0 seconds, the Mercedes-AMG GT Roadster knows a thing or two about speed and agility. Mercedes-AMG GT Roadster the perfect companion to any journey. 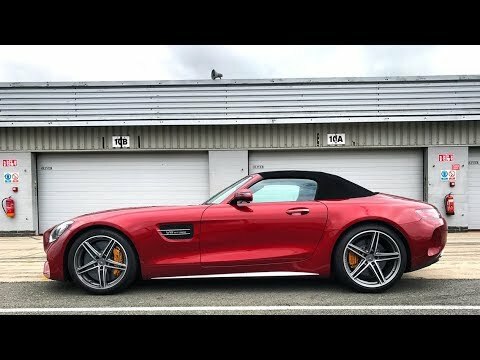 Not only an impressive package the new Mercedes-AMG GT Roadster packs a punch, with its V8 engine, producing 476 hp, 630 Nm maximum torque. Able to go from 0 to 62 mph in 4.0 seconds, the Mercedes-AMG GT Roadster is perfect for any speed enthusiast. With its stunning sports car performance the Mercedes-AMG GT Roadster is perfect for long drives and exploring the scenery along the way. The perfect balance of beauty and performance delivering everything you could ask in one beautiful package. Exquisite materials and finishes set the Mercedes-AMG GT Roadster apart from other performance vehicles. The seats are upholstered in stunning nappa leather to match the unique AMG performance steering wheel. The AIRSCARF neck-level heating system releases warm air from the head restraints perfect for frosty mornings and chilly night drives. The signature Mercedes-Benz quality is seen throughout the design, taking comfort and style into consideration for even the smallest of details. You’ll find yourself taking the long way home to experience the full potential of the Mercedes-AMG GT Roadster experience. Thanks to its lightweight aerodynamic design, the Mercedes-AMG GT Roadster excels with agile handling and response. Precise and powerful through turns, the car remains rooted to the road, allowing even higher cornering speeds. Together with the AMG rear axle steering, stability and agility is increased for effortless balance and control. 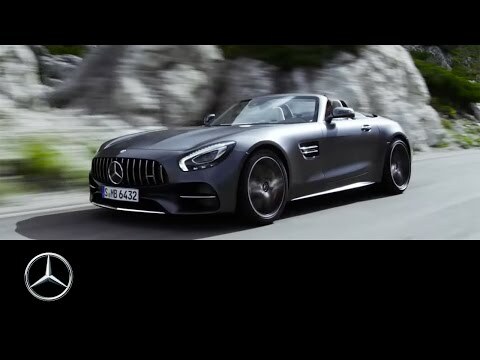 Experience your drive like never before, the Mercedes-AMG GT Roadster has built in COMAND Online multimedia system, the sleek design offers live 3D map display as well as live traffic information updates so you can choose to take the open road. It also features in-car Internet access*, hands-free capabilities and many more in-car entertainment options. the Mercedes-AMG GT Roadster has a built in CD/DVD player, MP3 compatibility and 10 GB of storage for your favourite songs.  Equipped with Mercedes me Connect¹ you are now able to monitor your vehicles unique status such as vehicle location, remote door locking and unlocking as well as remote interrogation of vehicle status.